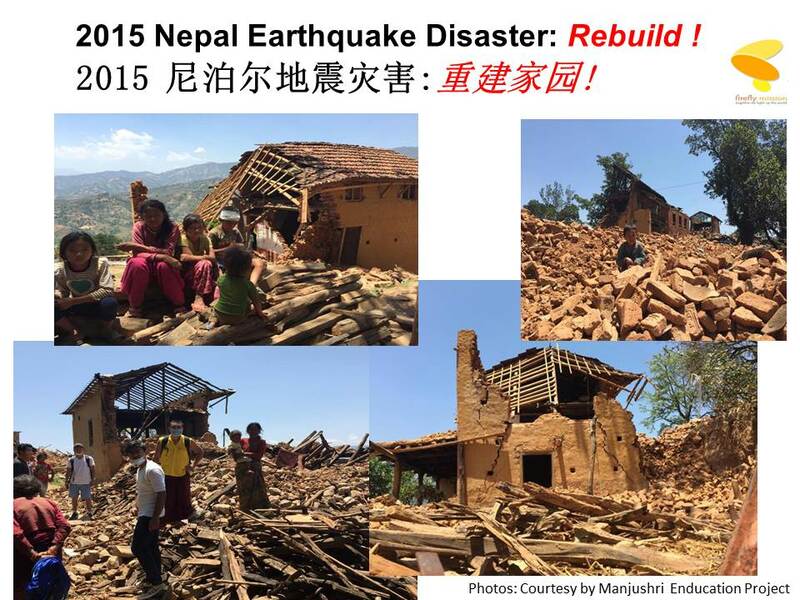 The two earthquakes that hit Nepal in April and May 2015 have caused extensive damages to the country. Tens of thousands lost their lives or are injured. The Firefly Mission has launched a Nepal Relief & Rehabilitation project to bring help to the victims. We will have the support of the Kong Meng San Phor Kark See Monastery in this initiative. 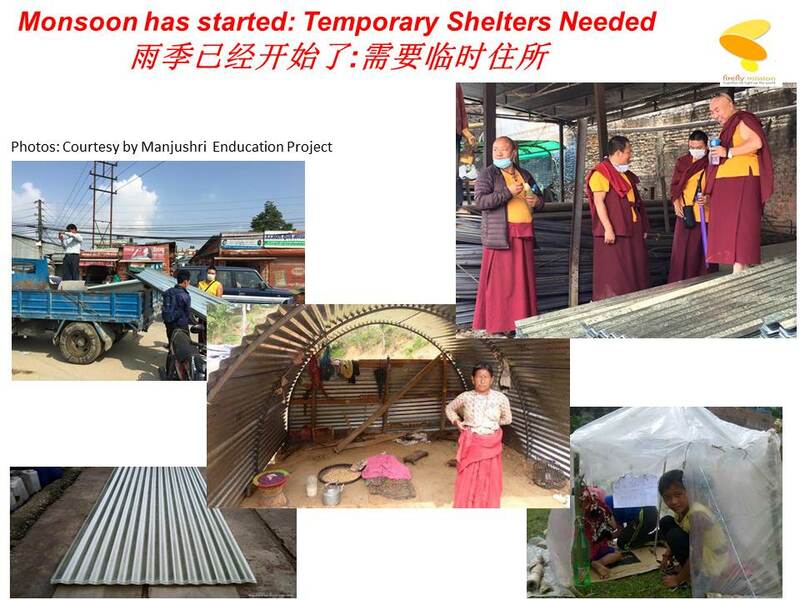 After consulting our patron, Ven Sik Kwang Sheng, abbot of the Monastery, we will start by working with our local partner, the Manjushri Educational Project on a “Rebuild Nepal” effort. Currently, the focus of this project is to supply building materials to the victims in the rural and mountainous areas around Pharping, 19km south of Kathmandu. Plans are being made for the construction of two hostels for children. Riding on the ability of the Tzu Chi Foundation to quickly deploy help teams to the disaster areas, FFM has channeled a $20,000 donation to the Foundation to fund its operations there. The Tzu Chi disaster survey and medical team landed in Kathmandu three days after the first strike of the quakes. The team brought along 1000 kg of medical supplies among others.